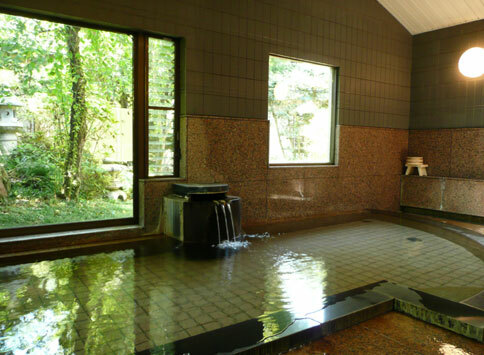 The water for the bath is drawn from the mineral spring of ‘Bentenike (Benten Pond)’, one of the most Exquisite and Well-Conserved Waters in Japan. 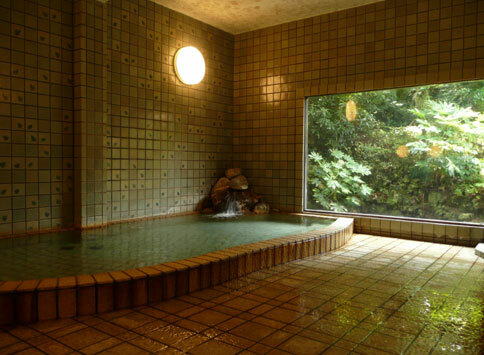 The water is effective for retaining warmth and moisturizing the skin. Just before the women's bath is the women’s powder room (image below). Special attention is made to the interior and amenities of the powder room.